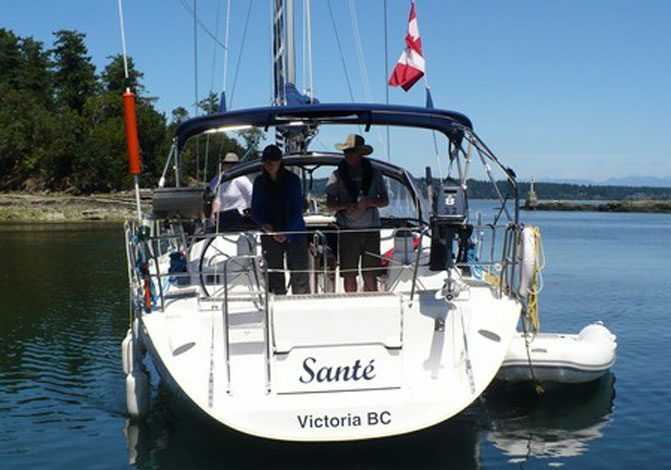 It’s been a life-long dream of mine to learn to sail a bigger boat and after much research I decided on Nanaimo Yacht Charters. It was probably the best decision I have made in years. My crew weren’t sure that sailing was their thing so we compromised and booked the Basic & Intermediate Power Boating Course on their Bayliner 3288 for April. 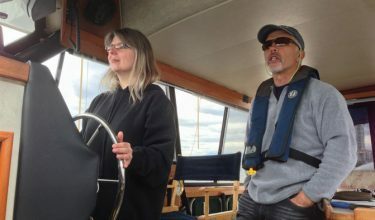 We did all the book work along with our Coastal Navigation course and arrived in Nanaimo excited and enthusiastic. 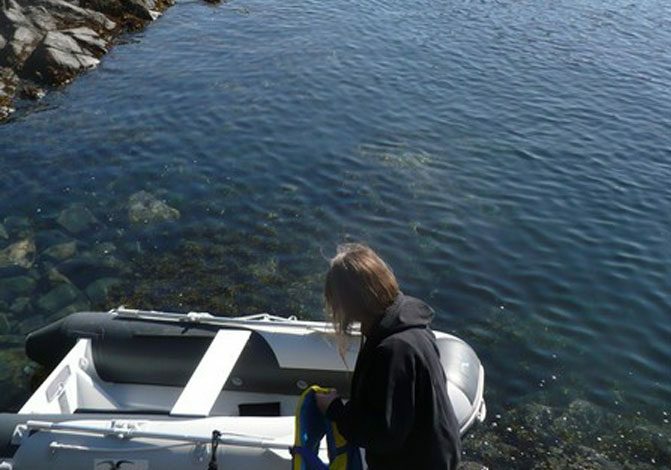 What a fantastic trip and a great introduction to boat handling and being on the water. 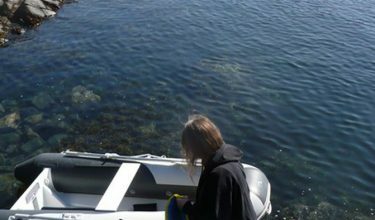 From the moment we were met at the airport to saying a sad farewell, it was the perfect experience; instructor Tim Melville was everything we could have wanted and we left feeling tired but confident. 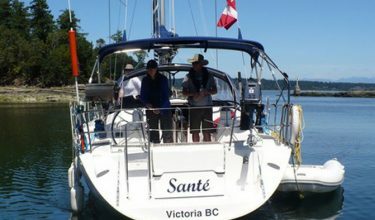 We returned in July to join Tim again and do a 7 day cruise and learn on Nanaimo Yacht Charter’s 38 foot Dufour. The boat was a joy to sail, well equipped and just plain fun and once again we had a fantastic learning experience. After an intense week of learning and some awesome sailing said goodbye to Tim and boarded the Ocean Pearl for a week on our own: our reward for all our hard work. The Pearl was a great boat and we spent our time cruising the Gulf Islands, visiting wineries, searching for fresh oysters and relaxing in beautiful parks. Everyone we met was friendly and helpful and I can’t say enough about how much people like Tim and Ian did for our confidence and enjoyment. We always felt in control and secure in our abilities. At the end of it all, all I wanted to do was do it all over again: a sure sign of time and money well spent. It was one of the best experiences I have ever had. We will be back next year; now we just need to decide whether we’ll be power boating or sailing. Either way we will definitely chartering from you guys.